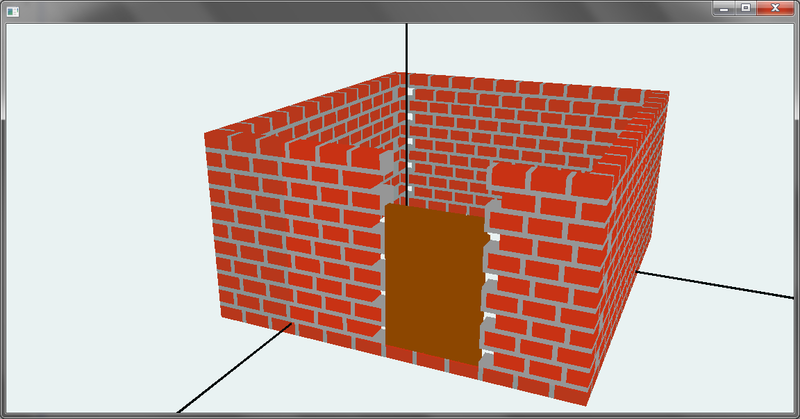 Here comes a new part of the example of building a house with the JavaFX-3D-Editor. Without a door you can't get in. So there is a little wooded door on the front site. You will see it in the picture. Therefore I build wood with 6 brown rectangles. 5 big woods for the front and 2 little once for the back. Between the 5 gib woods I set a little space so that you can look trough them. 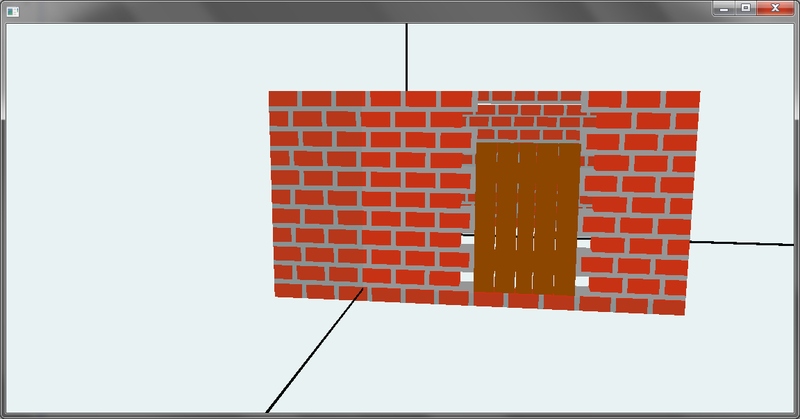 If you want to know how to build this door please load the appended file called step7.dxml into the JavaFX-3D-Editor and split the component called door. (You will find the file in the whole example at the link below) Maybe it is better to summarize all other componentes to a componente calle house to differentiate them from the door components. If you try it please send me some feedback or wishes.